HOW DO I GET MY TODDLER TO SLEEP THROUGH THE NIGHT? Believe it or not, but no one actually sleeps through the night. We all have what are known as partial arousals and partial awakenings. The challenge is when someone needs help in order to fall back to sleep. If your toddler is used to falling asleep in your arms, being fed to sleep, being bounced or rocked to sleep, then he is going to look for that same sleep association when he has a partial arousal or partial awakening in the middle of the night. The key is to help your little one learn how to fall asleep independently at bedtime as bedtime sets the foundation for the night and is the best time to learn how to self-soothe. As your little one gets better at falling asleep independently at bedtime, he’ll also get better at falling back to sleep in the middle of the night. If you have a baby, toddler or young child that is not getting the sleep he/she needs and you are interested in learning more about the supportive sleep solutions that Rest Well Baby offers, please contact Tracie at: restwellbaby@gmail.com to schedule a FREE 15 minute call to learn more about her services and how she can help your family get the gift of sleep! Biologically, we all have a need to sleep. Sleep truly does serve a purpose. Sleep is a time of growth, memory processing, brain development, rejuvenation & restoration. Sleep has an impact our physical, mental and emotional well being. When babies & toddlers do not get enough sleep it can affect their mood making them more cranky, clingy and irritable. They can also have difficulty learning and processing new information. Additionally, sleep deprivation can also have a negative impact on their immune function and more. Getting a good night’s sleep really can make a difference. 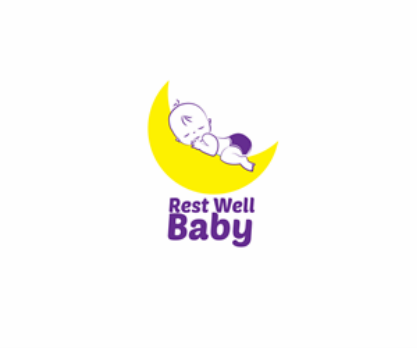 If you have a baby, toddler or preschool aged child that is not getting the sleep he/she needs and you are interested in learning more about the supportive sleep solutions that Rest Well Baby offers, please contact Tracie at: restwellbaby@gmail.com to schedule a FREE 15 minute call to learn more about her services and how she can help your family get the gift of sleep! *Try to follow your child's regular schedule (eating, naps & bedtime) as much as possible. *When you arrive at your destination, spend time with your little one in the room where he/she will be sleeping to help him/her become more acclimated and comfortable. *Bringing along familiar things from home can be comforting. Consider packing your own crib sheet, night light, your child's lovey, books that are a part of your child's bedtime routine, etc. *If you are traveling across time zones it is best to switch your child to his/her usual wake/sleep times according to the new clock. Exposure to sunlight (particularly in the morning) can help the body adjust. *Enjoy your vacation! If your child's sleep gets off course a little bit you can always work on readjusting when you're back home. We all have a biological need for sleep. Sleep helps to detoxify the brain, restore our bodies, boost our energy levels, process memories, release growth hormones, helps the immune system function properly and more. Sleep deprivation on the other hand makes you more susceptible to illness, can cause difficulty learning and processing new information, decreases your ability to concentrate, lowers productivity, and can cause irritability just to name a few. Sleep truly is both purposeful and beneficial for adults and children alike. WHAT CAN I DO IF MY BABY HATES HIS CRIB? Chances are your baby doesn't hate his crib. Babies actually really like (safe) small spaces. It's more likely that your baby is tired, but he is not familiar with how to put himself to sleep in his crib. Babies who rely on a sleep association (being held, rocked, fed, cuddled) in order to fall (all the way) to sleep are more likely to protest when put into their cribs awake. One way to help your little one get more used to his crib is to rock, feed, or hold him until he is drowsy and then place him into his crib before he is fully asleep so that he can learn how to fall asleep (the rest of the way) in his crib versus in your arms. HOW CAN I HELP MY TODDLER TO SETTLE DOWN BEFORE BED? *A soothing bedtime routine will help your child wind down and transition between awake and sleep time. *Turn off electronics at least one (preferably 2) hour before bedtime. *Avoid caffeine as it is a natural stimulant that promotes alertness and keeps both children and adults from feeling sleepy. *Maintain a consistent sleep schedule so that your child is used to going to bed around the same time every night. Is It Ever A Good Idea To Wake My Child Up From A Nap? Yes, if your healthy little one is taking an extra long nap or his nap is getting close to bedtime, then waking him from his slumber is probably a good idea. When babies and toddlers nap too long or too late in the day their nighttime sleep can be negatively impacted. Maintaining an age-appropriate sleep schedule is important for children - they thrive with predictability and routine. So, if your little one's nap has gone on for too long, you can definitely wake him up to ensure he is ready for his next nap or for bedtime. I am SO excited to announce that I was recently a guest on Is It Bedtime Yet? with Dr. Jenn and Dr. Sarine. We had a blast talking about pediatric sleep and so much more. You can listen to the podcast on iTunes, Google Play Music, SoundCloud, PlayerFM, or Stitcher. And stay tuned for a possible follow up episode answering your general pediatric sleep questions!